Data shows Portland’s scooter experiment worked. Maybe it’s time to critically appraise the failed 110 year experiment with cars. Starting in July, Portland, Oregon began allowing fleets of e-scooters, as an experiment, to see how they would work. Portland’s Bureau of Transportation (PBOT) just released its 36-page report on the city’s 120-day trial of allowing fleets of electric scooters on the city’s streets. It’s profusely illustrated–it looks more like a sales brochure than a government report–and it has mostly favorable things to say about the city’s recent experience with scooters. In four months, scooters went from nothing, to providing more an average of 5,800 trips per day. About 30 percent of city residents rode the scooters at least once during the trial period. The city estimates that roughly a third of scooter trips substituted for private car trips, helping to reduce traffic congestion. Scooters also tended to be used most during peak travel hours, with 20 percent of all trips taking place between 3pm and 6pm on weekdays. City surveys indicate that six percent of scooter users reported getting rid of a private car as a result of scooter availability. 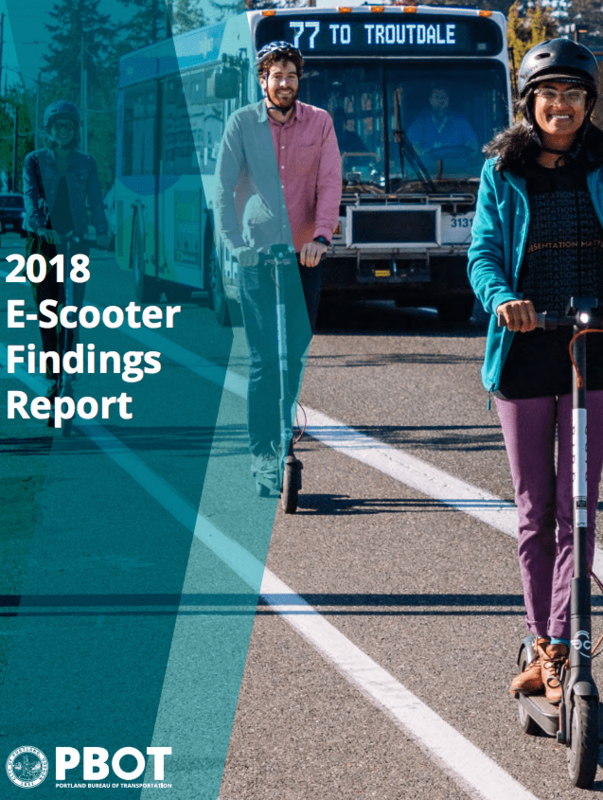 In addition, the city’s survey’s also suggest that scooters effectively expanded the market for non-automobile transportation by attracting users who haven’t ridden bicycles for transportation. The survey also shows that 60 percent of Portlanders have a positive or somewhat positive view of scooters. As transportation innovations go, this seems like a pretty wild success. Scooters are a clean, green, fiscally-responsible alternative for making lots of short trips in dense urban areas. They’re overwhelmingly popular. Thanks to GPS, web-based applications and data sharing requirements, we have a clear picture of where and how scooters are used. If this is a data-driven process, the data clearly make a case for bringing scooters back–and widely expanding the program as well. Which is something that the Portland Bureau of Transportation indicates it will do later this year–although unfortunately, and inexplicably, only as a second trial period. How does that compare to what people pay to drive cars? Let’s take the gas tax, which is the major source of state and local road finance. Oregon’s gas tax is currently 30 cents per gallon, and the City of Portland has a gas tax of 10 cents per gallon. With the average vehicle getting about 20 miles per gallon, this means that the average automobile pays about 2 cents per mile (40 cents divided by 20 miles per gallon equals 2 cents per mile). And it has to be added that these are total taxes paid to city and state–the city receives only a fraction of the state imposed gas tax to pay for its streets. 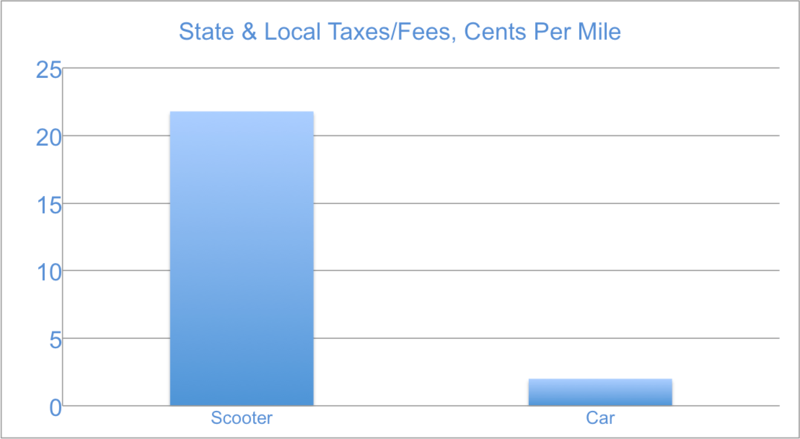 Bottom line: Scooter riders pay ten times as much in fees per mile traveled on city streets as car drivers pay in gas taxes.